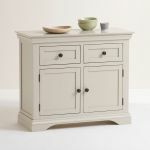 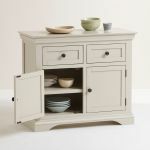 This beautiful small versatile mid-tone grey sideboard is a delightful addition to dining and living rooms alike! 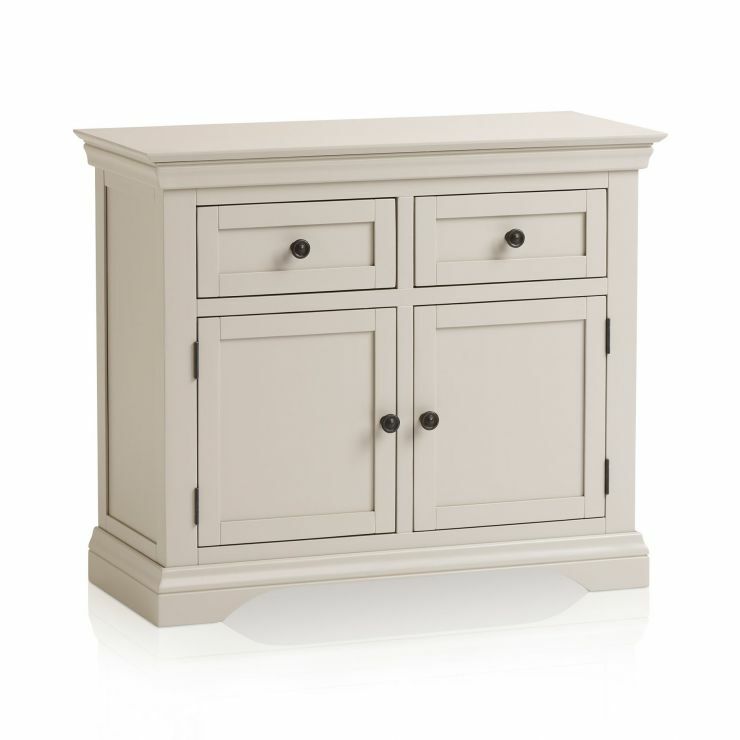 Made from 100% solid hardwood that's finished with a smooth coat of paint, Arlette is designed to add crisp sophistication into a space. 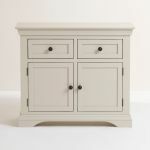 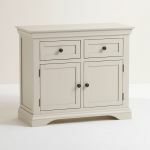 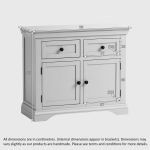 This small grey painted sideboard offers excellent storage, with two cupboards topped by sturdy drawers which are built with real dovetail joints and hardwood bases, backs, and runner to add to the longevity of the piece. 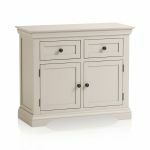 It's completed with he signature design elements of the Arlette range, decorative cornices, arched bases and panelled detailing. 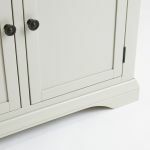 The small dark metal button knobs complete the look!